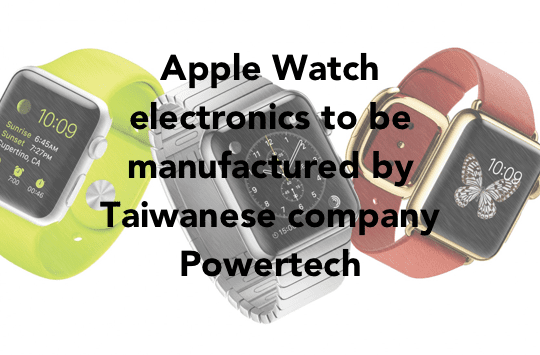 Apple Watch may be soon enter production with manufacturing slated to be handled by Taiwanese electronics company Powertech. 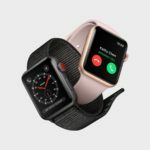 Apple Toolbox today discovered a story by Taiwanese online publication EMS One (which itself sourced the news from Taiwanese economic newspaper “Industrial and Commercial Times”), that says leading Taiwanese semiconductor company Powertech will be handling CPU manufacturing for next year’s Apple Watch, according to supply chain industry sources. 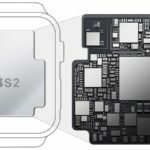 The Apple Watch uses a unique and completely resin-sealed system-in-package (SiP) chip technology that includes the entire computer system on a single system, known as the S1, unlike the ARM-based “A series” Apple uses in its iOS devices, which contain more discrete external components that make up the complete CPU package. The S1 is largely an unknown design which was first revealed in September at Apple’s iPhone keynote event. It’s likely that the chip makes extensive use of Apple’s unique processor designs which have helped it’s latest A8 (found in the iPhone 6) and A8X (in the iPad Air 2) achieve far superior performance than competitors’ chips, which are typically based on purely generic ARM designs. 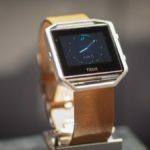 The technology inside the S1 will no doubt be scrutinised heavily next year when the Apple Watch is eventually launched. 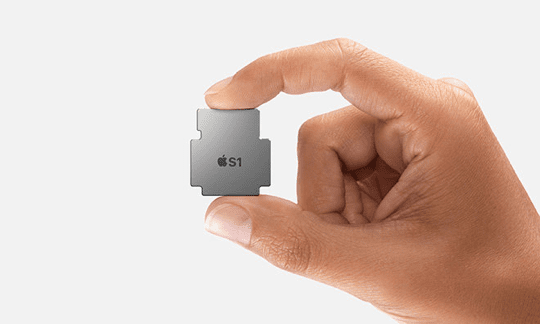 Apple’s System-in-Package (SiP) known as the S1 will makes its debut in next year’s Apple Watch. 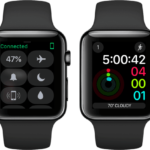 Besides the new S1 chip, the Apple watch features advanced capabilities such as a force feedback-enabled retina display, NFC (for Apple Pay), a so-called Taptic Engine to provide force feedback, Bluetooth and Wi-Fi, and a unique “Digital Crown” to navigate and zoom around user interface, for example to select menus and options. 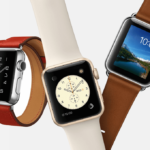 It remains to be seen how the S1 manages battery and power consumption, as it’s widely anticipated the Apple Watch will need to be charged nightly (based on comments by Apple CEO Tim Cook recently) – a limitation that will no doubt improve with successive generations, but that may hinder its popularity and uptake, at least initially. 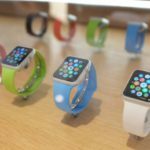 The Apple Watch also comes in a wide range of colours, materials, and two sizes, with many of the straps being made around the world by carefully chosen specialist suppliers. 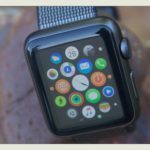 The latest rumours point to a Q1 release in 2015 for the Apple Watch, though Apple has only publicly stated “early in 2015”. 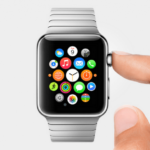 You can read more articles about the Apple Watch on Apple Toolbox here.